The local government generated controversy in the March 9 election after Kyari Mohammed, returning officer, rejected the result of Tafawa Balewa because it was not documented in the original sheet which the collation officer said was hijacked by thugs. The election was declared inconclusive while a supplementary election was fixed. INEC had set up a committee to review the election and the committee recommended a cancellation of supplementary poll, advising that the collation of results should resume. The commission had fixed last Wednesday for resumption of collation but the governor got a court injunction which put collation of the local government on hold. On Saturday, INEC conducted a fresh election but the final collation was also not done as a result of the court order. 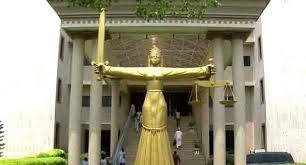 On Monday, Iyang Ekwo, a member of the panel which presided over the case, maintained that the court had jurisdiction to hear the matter. He said this in response to an earlier argument by counsel to Bala Mohammed, candidate of the Peoples Democratic Party (PDP) in the election. The lawyer had argued that the case was outside the jurisdiction of the court. But Ekwo held that issues that had to do with elections are not exclusively handled by the tribunals. “This court has jurisdiction in fair hearing of the plantiff. There is no debate that the issues of election are completely handled exclusively by the tribunal,” the judge held. He then dismissed the case. “I make an order dismissing this case. The defendant (INEC) should be allowed to continue its constitutional duty,” he held.